The word “sunroom” evokes images of a light-filled space, perfect for lounging, reading or spending time with family. In the case of the Helgason home in Belmont, this was not the case. 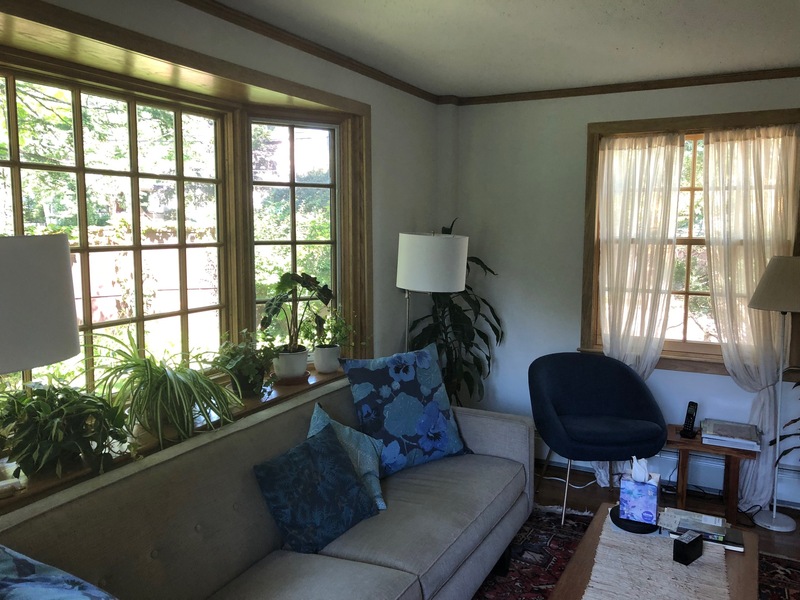 When Artie Helgason and her husband purchased the home in 1966 their sunroom was dark, gloomy and never the right temperature – always too hot or too cold depending on the season. 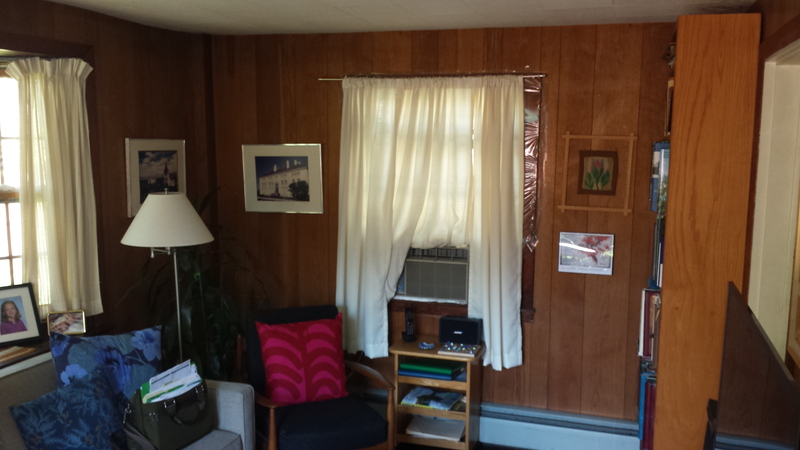 Before: the chilly, dark “not-so-sunny” room prior to renovation. After the renovation the bay window lets in lots of light and is the perfect place to display plants. 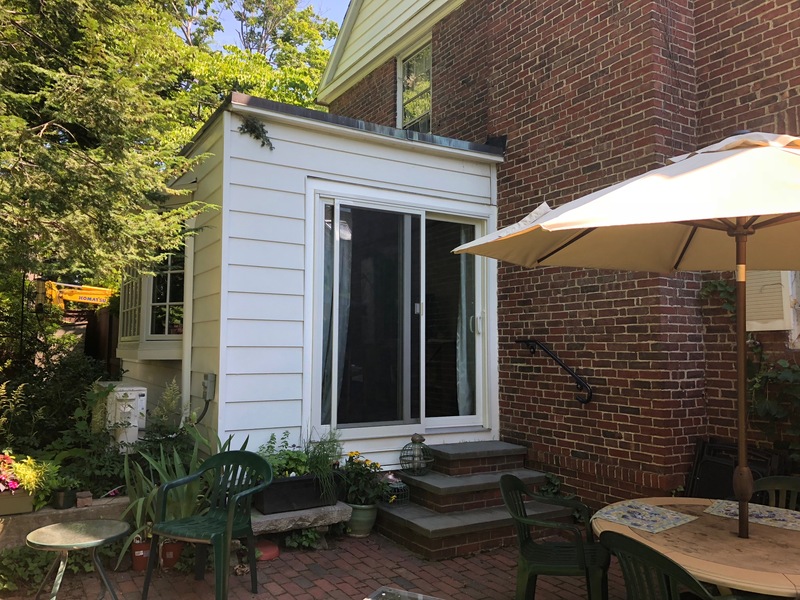 After noticing a Gallagher Remodeling sign in front of a nearby home, Artie gave Roger Gallagher a call to discuss the sunroom project and soon work was underway to revitalize the space. The Gallagher team started by removing the walls, thoroughly insulating the space, and replacing the windows, including a large bay. The oak floors were refinished to their original luster while new walls and molding completed the space. One unique challenge popped up during the renovation: a small music room is located off the sunroom, but the door kept hitting the piano bench. 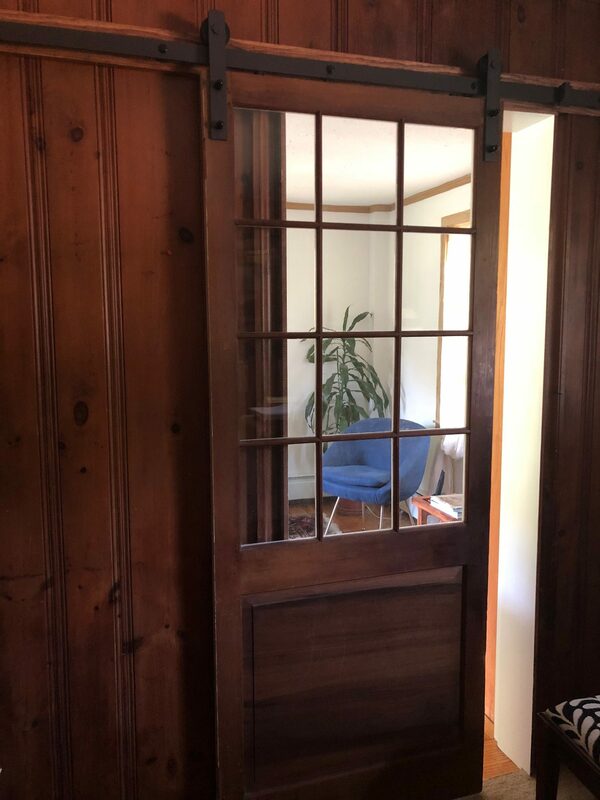 A pocket door wasn’t feasible, but the Gallagher team suggested refinishing the door and repurposing it as a sliding “barn-style” door that would hang on the inside wall. The solution is both practical and adds interest to the design. 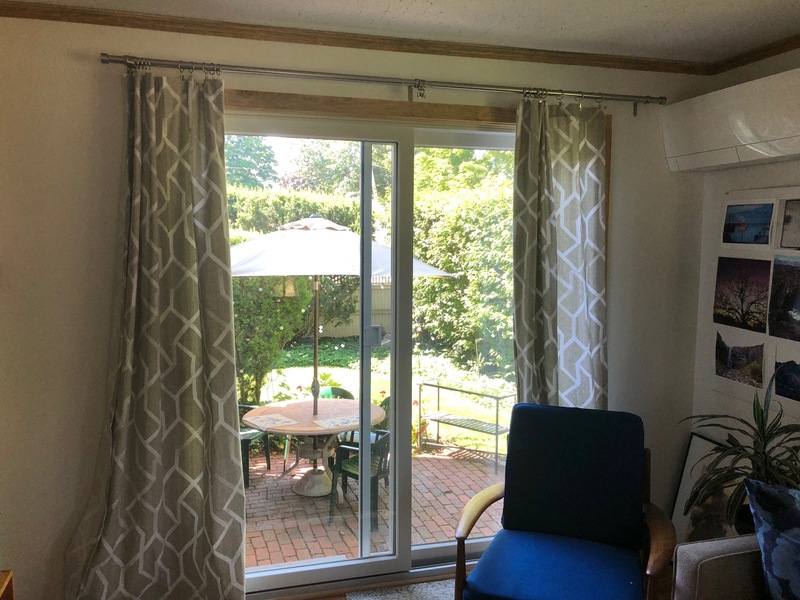 A new sliding glass door replaced an aluminum frame door that was difficult to slide open and very cold in the winter. A quietly efficient mini-split system was installed to solve both heating and cooling issues. From the exterior, the addition looks much the same as it had before even though a rotten wall was replaced below the bay window. A sliding glass door opens to the patio. The mini-split is located near the ceiling and provides the perfect amount of “on-demand” heat or air conditioning. The condenser is located right outside the sunroom, but is so quiet and hidden behind foliage, that it’s hardly noticeable. The sliding barn-style door leads into the sunroom from the piano room.